Here at Vantage ŠKODA Morecambe, we're proud to be a part of one of the UK's largest dealer group, alongside many other dealerships across the Midlands and north of England offering the best from Toyota, Lexus, Citroën, Hyundai, Kia, Mazda and Honda. We specialise in both the sale of new and used ŠKODA vehicles as well as the aftercare of your ŠKODA to ensure it always performs to the highest standard, ensuring safety on the roads for both you and other drivers. 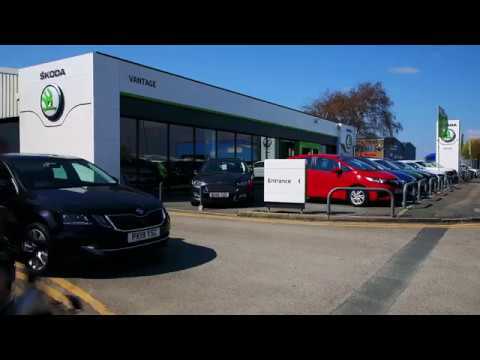 A relatively new member of the Vantage family, ŠKODA Morecambe joined Vantage in March 2015, located on the White Lund Industrial Estate, covering Lancaster, Carnforth and the surrounding area. Originally David Ian ŠKODA, Vantage acquired its first ŠKODA dealership and invested in a state of the art showroom to look after new and existing customers. We focus on giving every customer the very best experience no matter what the purpose of your visit. Open seven days a week and with our sales, service and Motability experts always on hand, you can pop in and see us at a time that best suits your, and browse our vast selection of new and used ŠKODA vehicles. Our Centre Principal, Andy McGevor, is thrilled to bring his years of motor trade experience to our primary ŠKODA location here in Morecambe. Andy has taken several Vantage Motor Group locations from strength to strength and is loving working with our friendly team to continue bringing this fantastic franchise to Morecambe and the surrounding areas. "After many years with other franchises I am so pleased to have been given the opportunity to work with ŠKODA. With a rich brand history behind them, a phenomenal range of vehicles, and strong brand values I really feel at home with ŠKODA and love creating new ŠKODA fans"
If you are unable to visit our centre, there are many other ways you can contact us and find out exactly what you need to know. Our website is continuously updated with the latest offers, finance examples and announcements, as well as 360˚ interior and exterior vehicle tours, customer reviews and servicing offers. You can take advantage of our free vehicle valuation tool, or contact us directly using our Live Chat feature. Alternatively, use our online enquiry form or give us a call and a member of our friendly team will assist you with everything you need to know. You can also keep up with the latest news and events from Vantage by following us on Twitter or liking us on Facebook. We look forward to welcoming you to Vantage ŠKODA soon!